I was browsing in a book market in Nice this summer when I encountered Henry Cohen, writes Rick Poynor. Not the man himself – though I would be delighted to make the acquaintance of the 92-year-old photo-graphiste – but a generous portfolio’s-worth of his work for Gallimard. 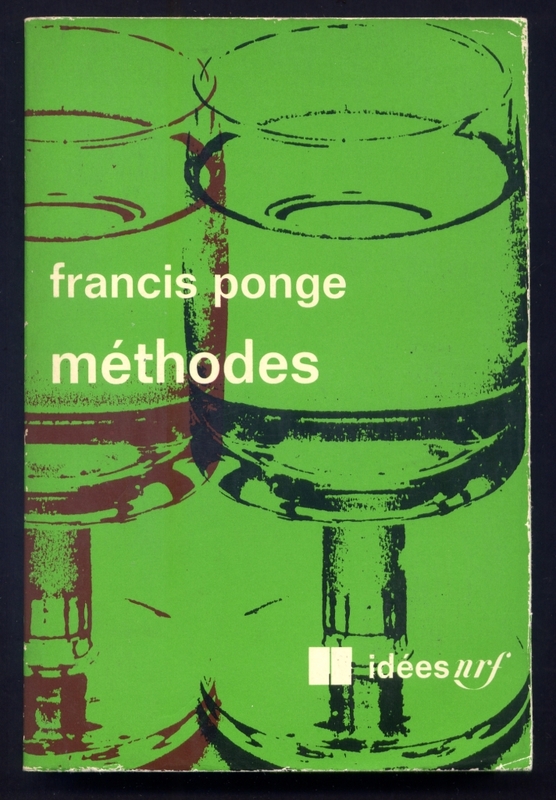 I have written an article (‘The shape of a pocket’) for Eye 81 about the innovative photographic covers he created for the Parisian publisher’s ‘Idées nrf’ series of non-fiction books introduced in 1962. Top: Point du jour, no. 213, 1970. Below: Méthodes, no. 249, 1971. One of the market stalls had dozens of copies of the books going for a few euros each. The brightly coloured designs, all clearly the work of the same hand, were dazzling in the Mediterranean sun, easily outshining the other old paperback covers around them. On the backs I saw the beguiling credit: ‘photo-graphisme h. cohen’. I was tempted to snap up the lot, but settled for seventeen of the covers I particularly liked. A few days later, shortly before I left the city, I found several more in a secondhand bookshop. They are as easy to obtain in France as old Penguins are in the UK. Here we are showing six Idées nrf covers not featured in the Eye article, which presents another seventeen of Cohen’s images for the series. 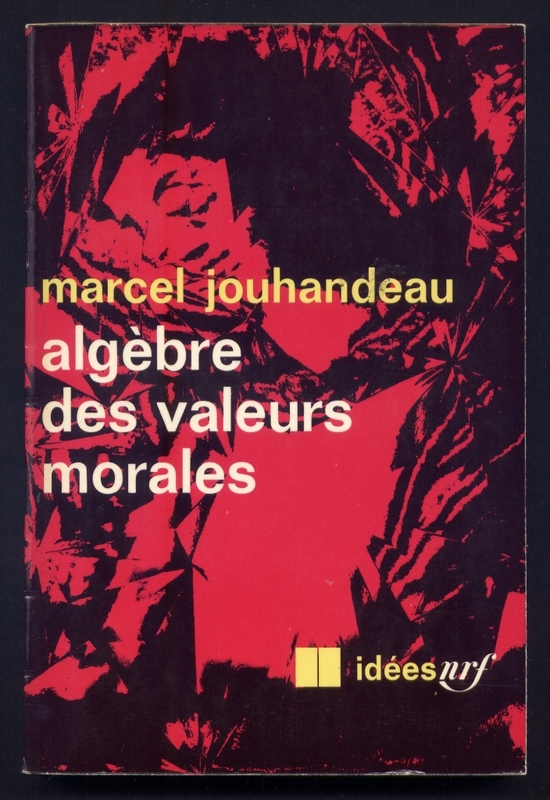 Above: Algèbre des valeurs morales, no. 182, 1969. 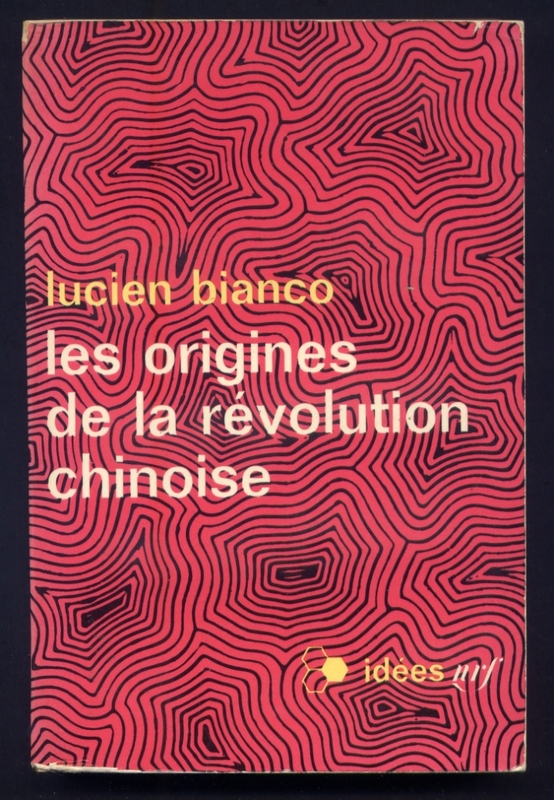 Below: Les origines de la révolution chinoise, no. 142, 1967. I was able to locate Cohen through an email address I found on a French website. He maintains an eccentric site of his own, devoted to his writings about the nature of knowledge – he doesn’t show any book covers. When I made contact he readily answered my questions and offered to send me a small catalogue for an exhibition of his work in 1992. 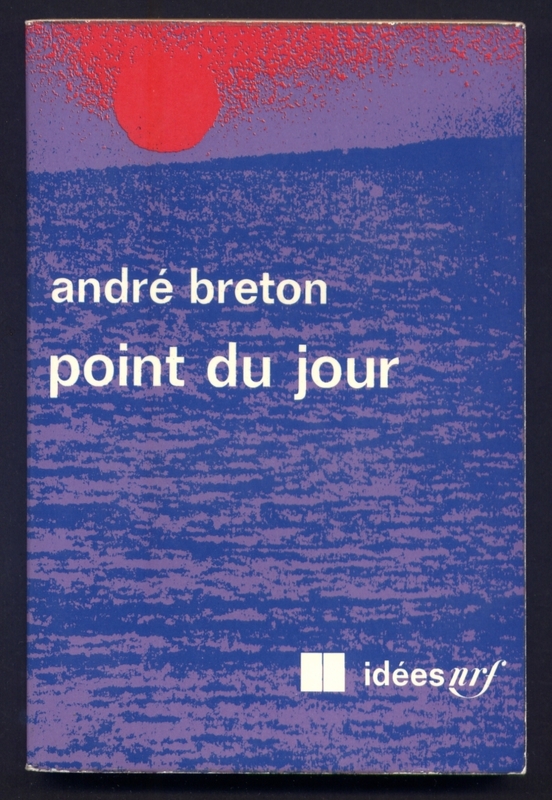 This document proved to be invaluable because it contains a list of the 300 or so covers he produced for Idées nrf and for the larger format Idées / Gallimard, as the series was retitled in the 1970s. I spent many hours tracking down most of these numbered volumes online and this overview of the entire series confirmed my initial hunch that Cohen’s under-sung body of work comprises one of the most imaginative book cover projects of its era. Decades later these covers can still zap you with their vibrancy and visual invention. Above: Contre Sainte-Beuve, no. 81, 1965. 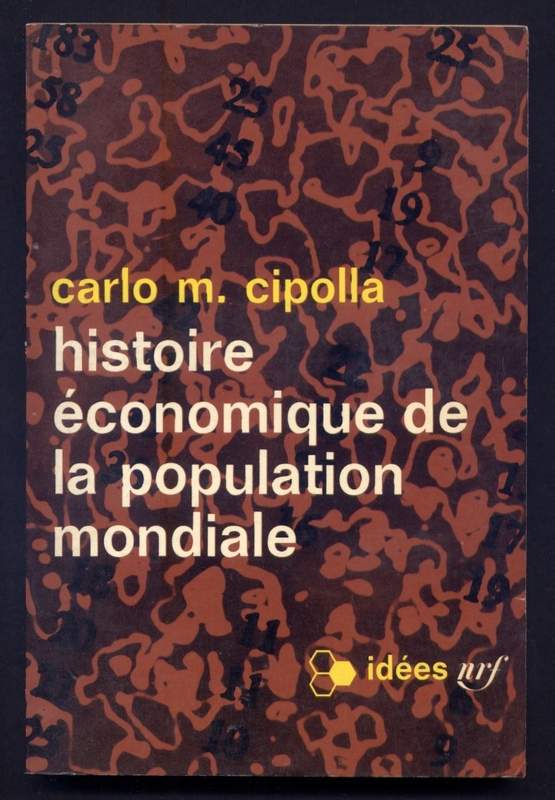 Below: Histoire économique de la population mondiale, no. 71, 1965. See ‘The shape of a pocket’ in Eye 81, the Designers and clients special issue.